The University’s Zero Waste Challenge (ZWC), now in its third year, commenced on Monday, Oct. 10, and will last through the week. The Eco Facilitators are coordinating the ZWC, led by Emily Murphy ’18 and Sara Wallace-Lee ’18. The Eco Facilitators is an initiative introduced by the University’s Sustainability Office. “Eco Facilitators are peer-to-peer sustainability educators who work with first- and second-year students to promote environmentally responsible living habits within the context of global climate change and social inequality,” the office’s website reads. The Eco Facilitator team consists of 14 sophomores and the 2 junior coordinators, who are mostly in charge of implementing sustainability-related programs in freshmen housing. 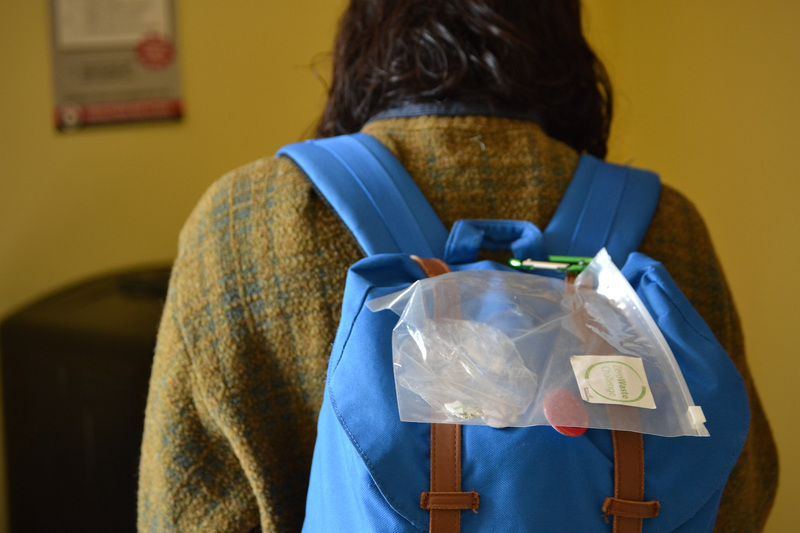 The ZWC involves students pinning a plastic see-through Ziploc bag to their knapsacks and putting their non-recyclable and non-compostable trash in it throughout the week. Bags and pins were distributed at Usdan, as well as at Pumpkin Fest, last week. “[The] bag is a physical representation of how much waste one person can generate in just one week,” Murphy wrote in an email to The Argus. The challenge incorporates encouraging students to reduce the amount of trash that they produce, as they are visually aware of the amount of refuse in their bags. This also encourages students to recycle rather than to trash their waste. The goal of the ZWC is to raise awareness among students about the impact they can have on the environment, Murphy explained. Murphy added that another goal is for students to become more conscious of the waste they generate, and will consequently make an effort to limit it in the future. There are several incentives for students to participate in the week-long program that will end on Sunday, Oct. 16. A “Trash Bash” party at Art House will take place after the challenge. Yer Trash is set to play at this event. Furthermore, the freshman dorm that has the most participants will be treated to cider and donuts. The ZWC is a part of a month-long Campus Sustainability Month program hosted by the Office of Sustainability. Other events that have already happened this month in its celebration include Pumpkin Fest and an Equity and Sustainability 5K. Upcoming events this month include a “Where on Earth are We Going?” symposium that will be happening on Oct. 29. On Friday, Oct. 14, as part of Campus Sustainability Month, the Eco Facilitators will be hosting an Environmental Justice Forum. The forum will help students learn how to get involved with environmental justice initiatives and will include distribution of zines and snacks.